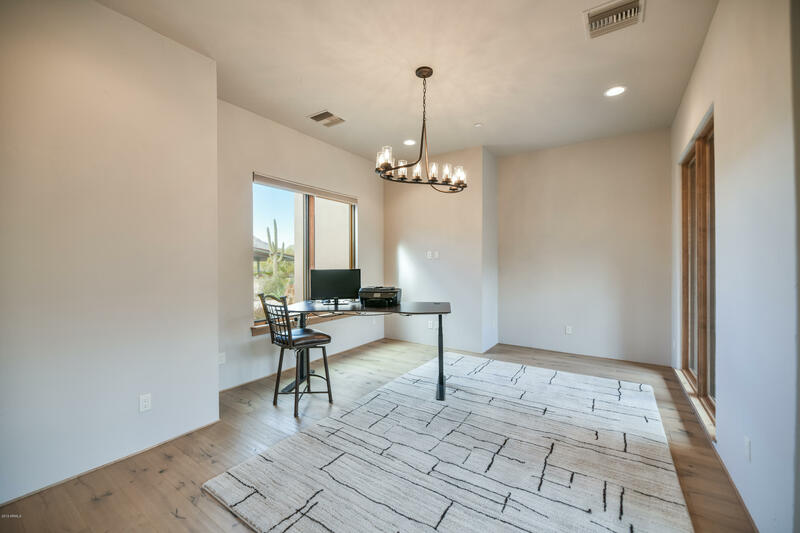 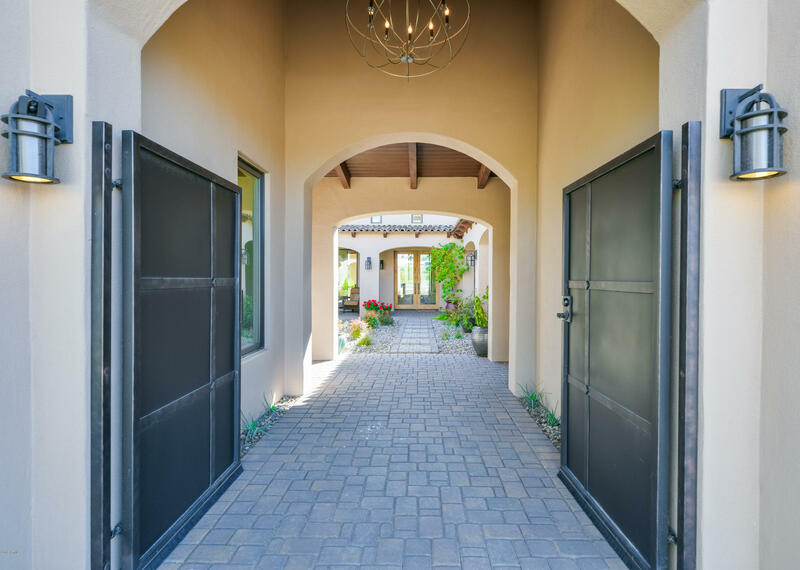 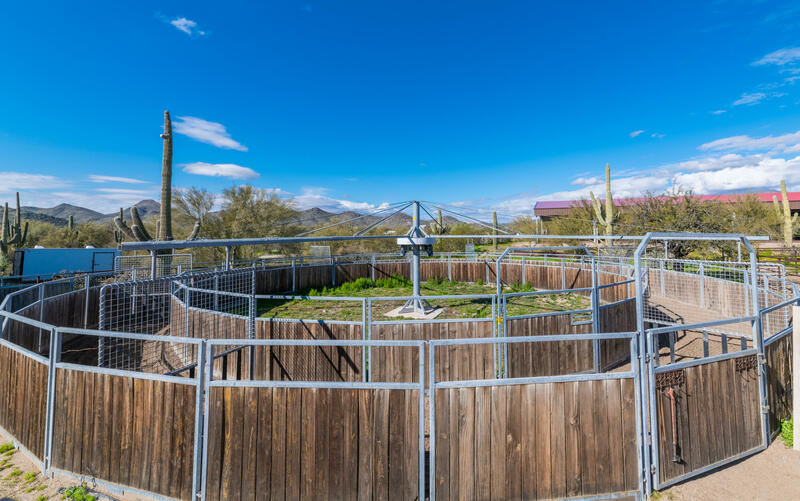 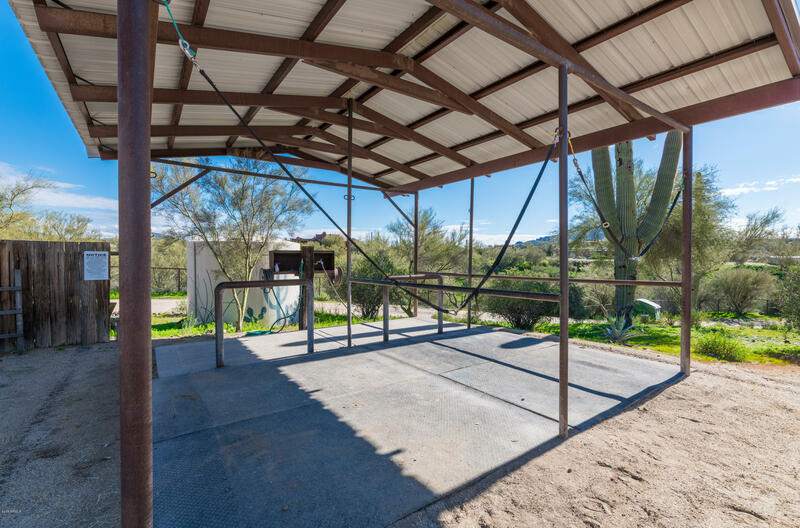 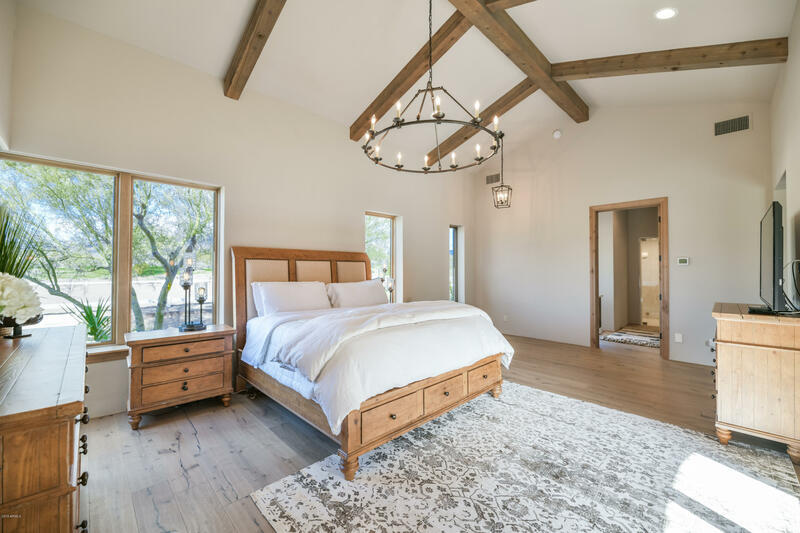 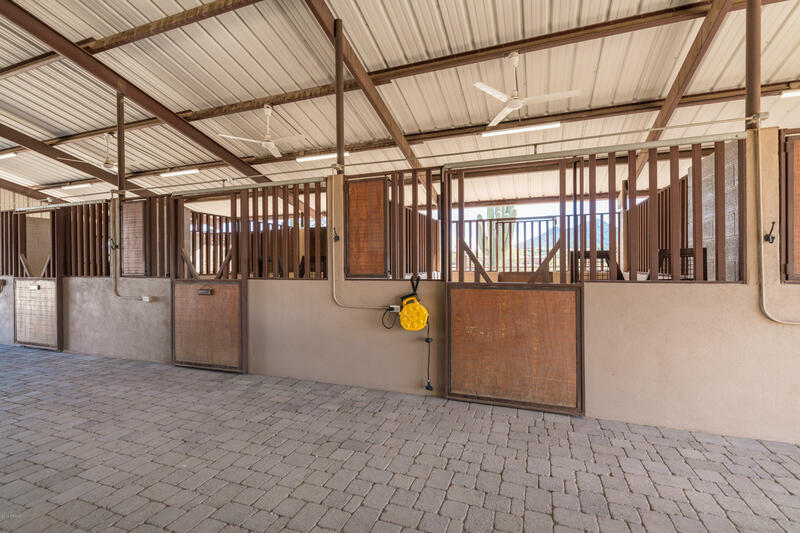 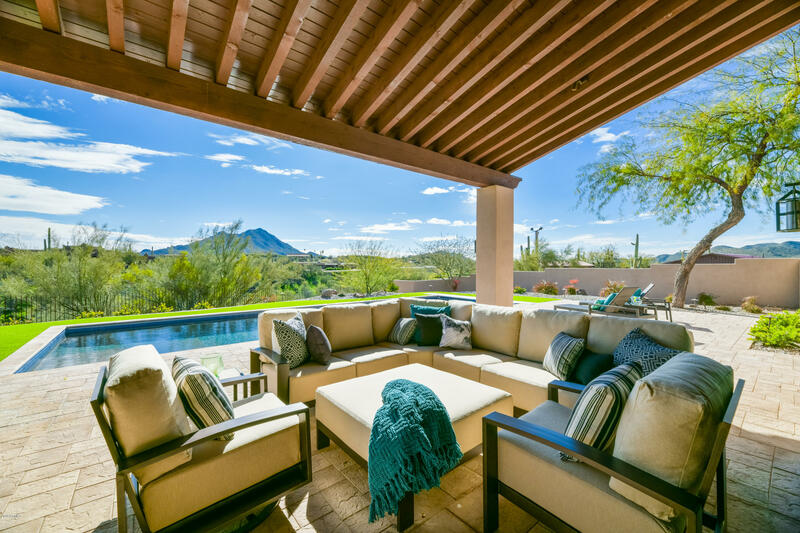 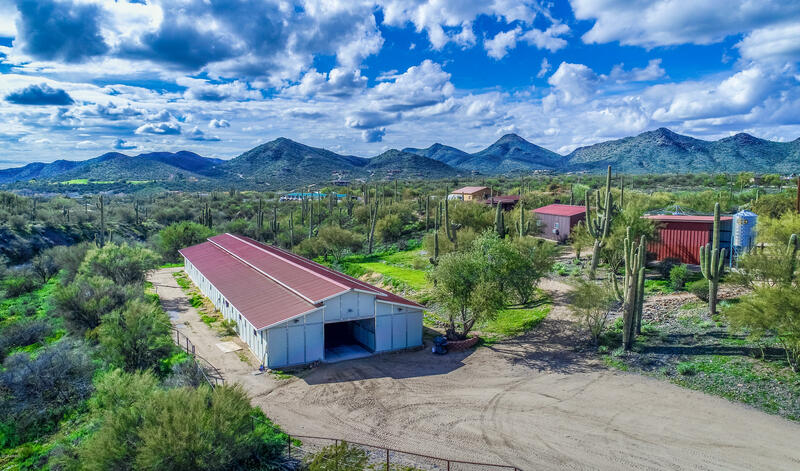 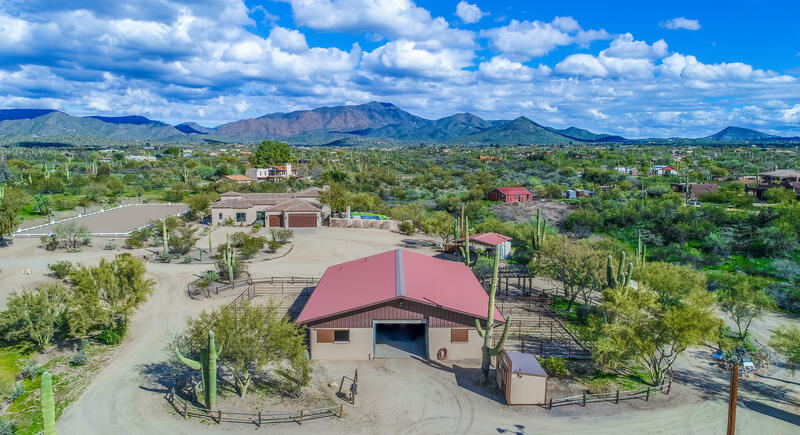 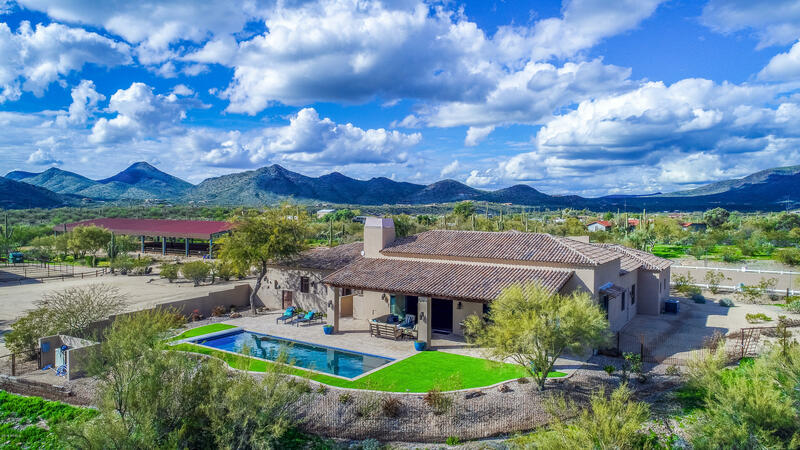 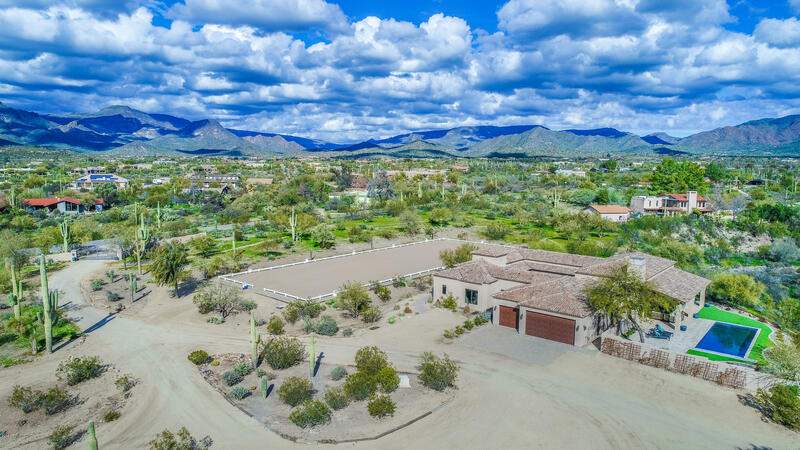 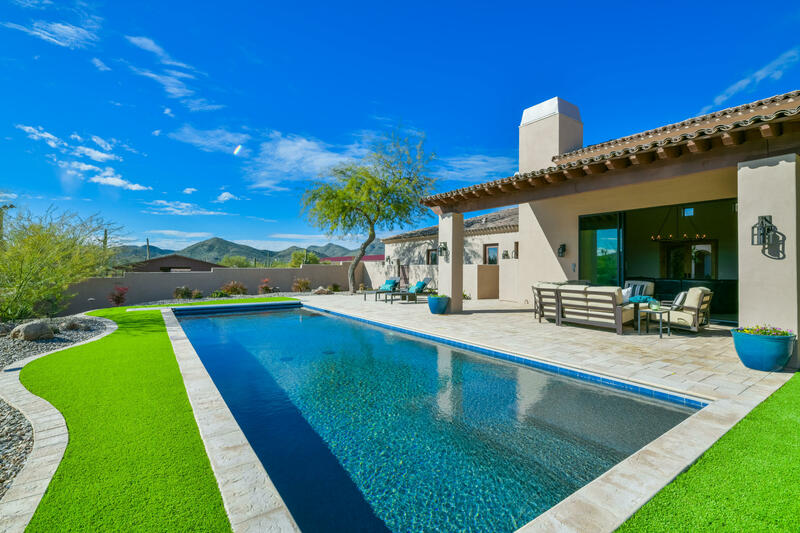 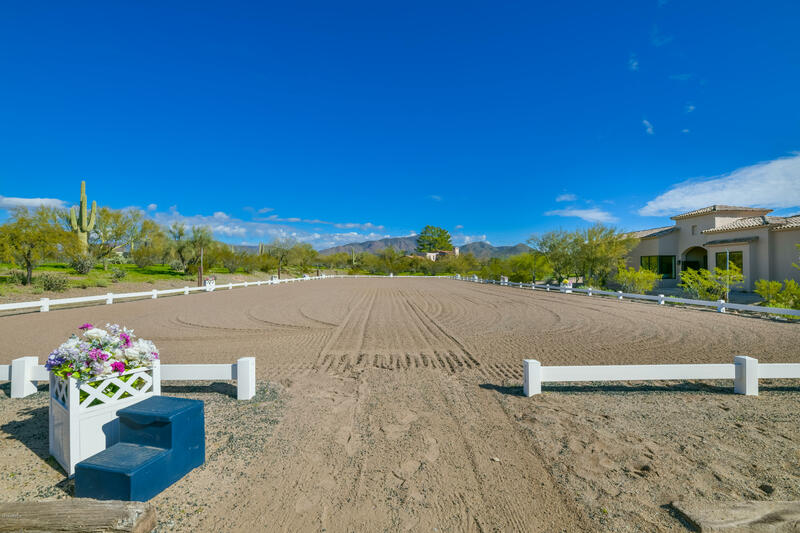 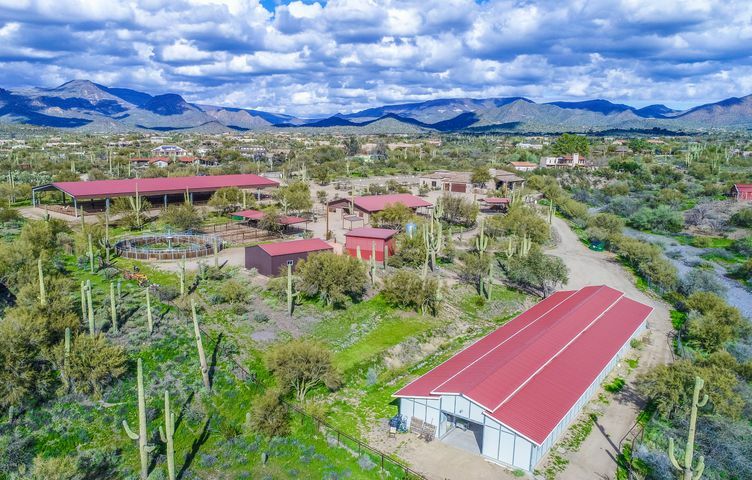 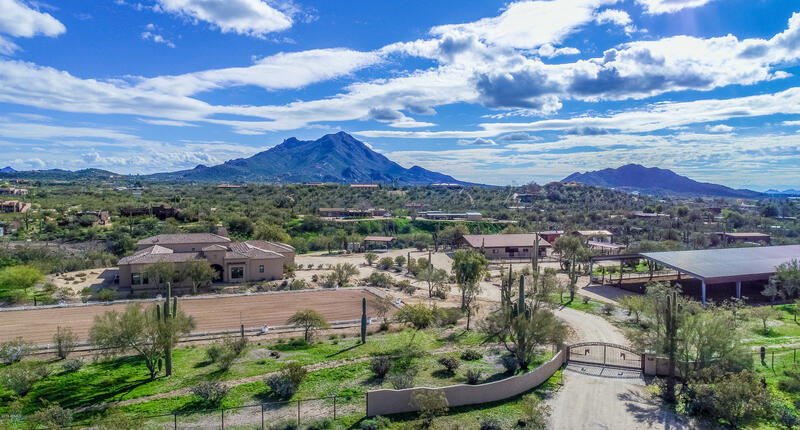 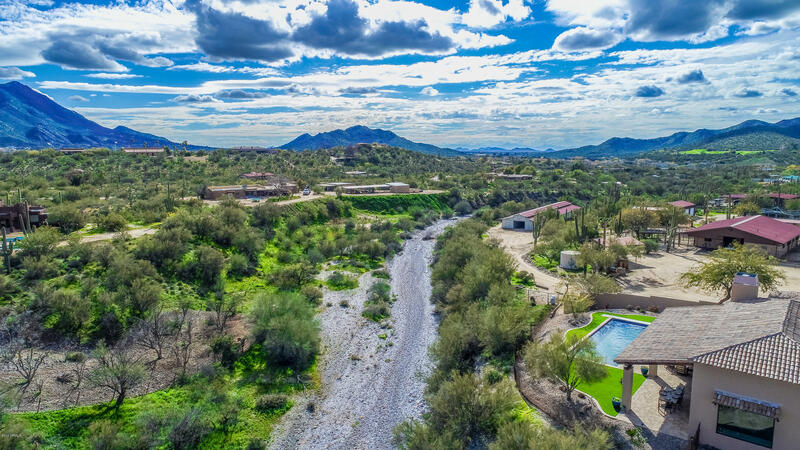 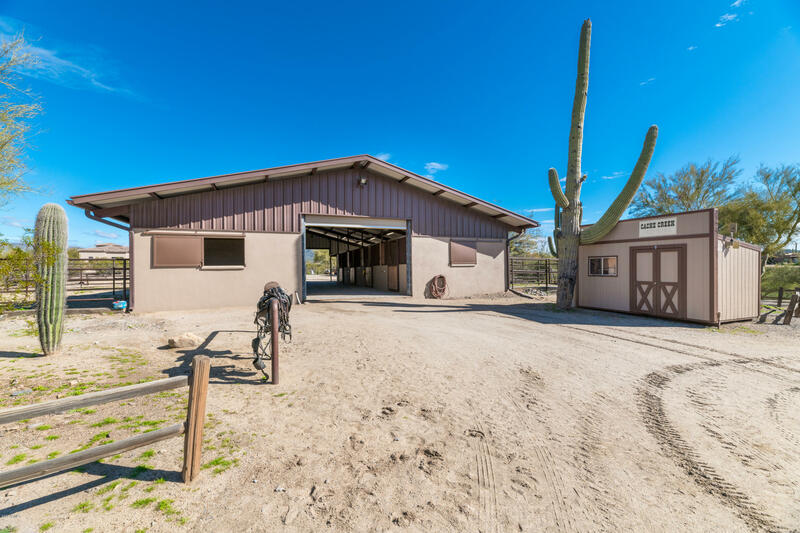 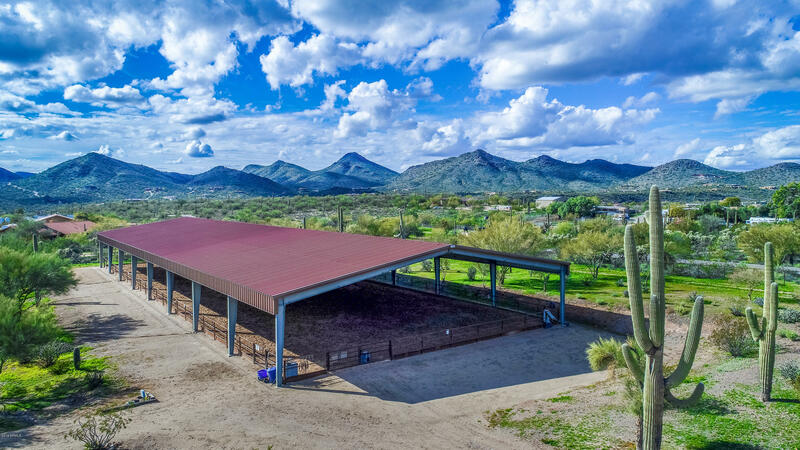 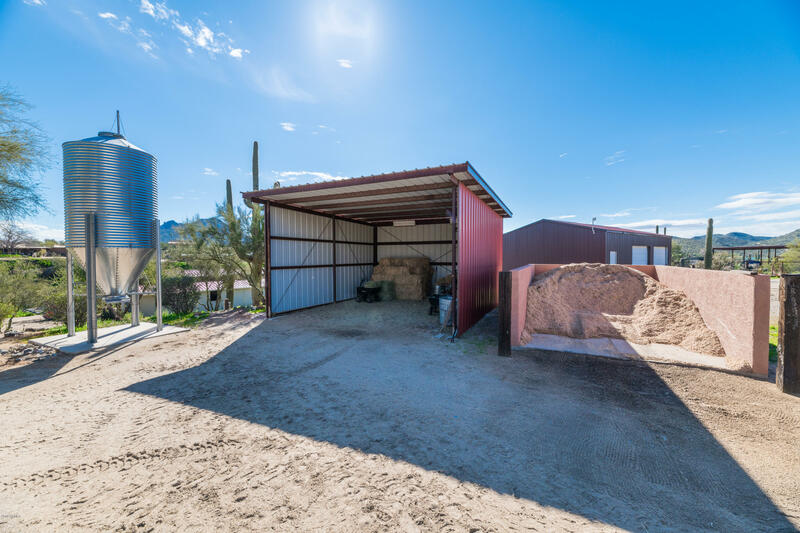 Impressive 8.15 ac Equestrian Estate in premier Cave Creek location! 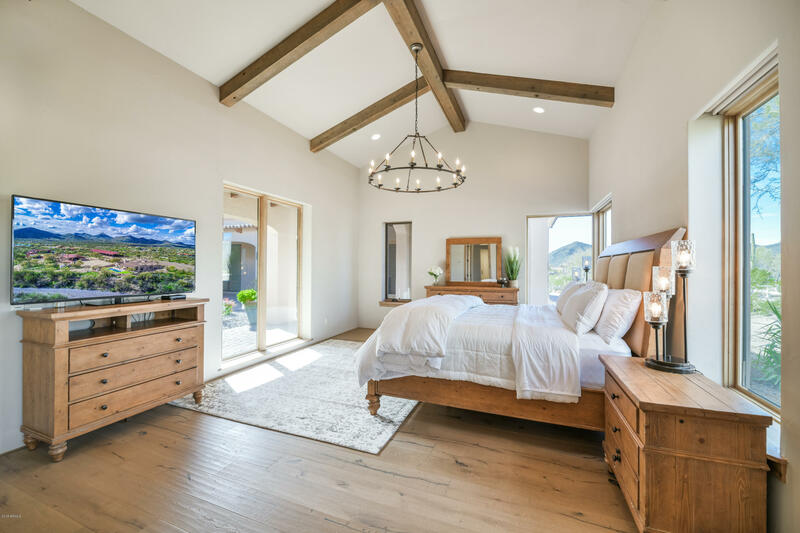 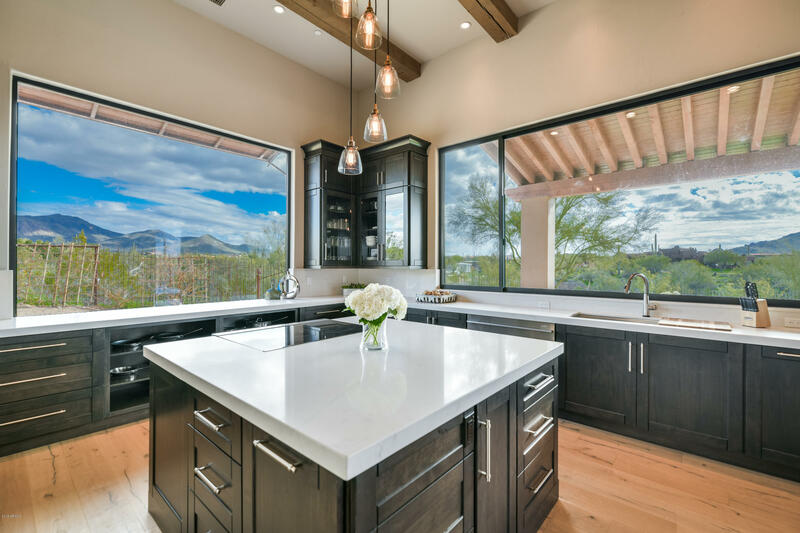 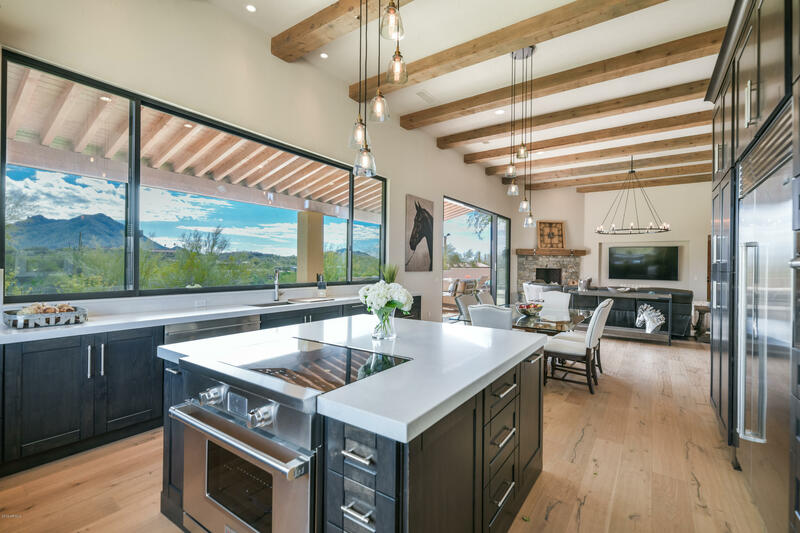 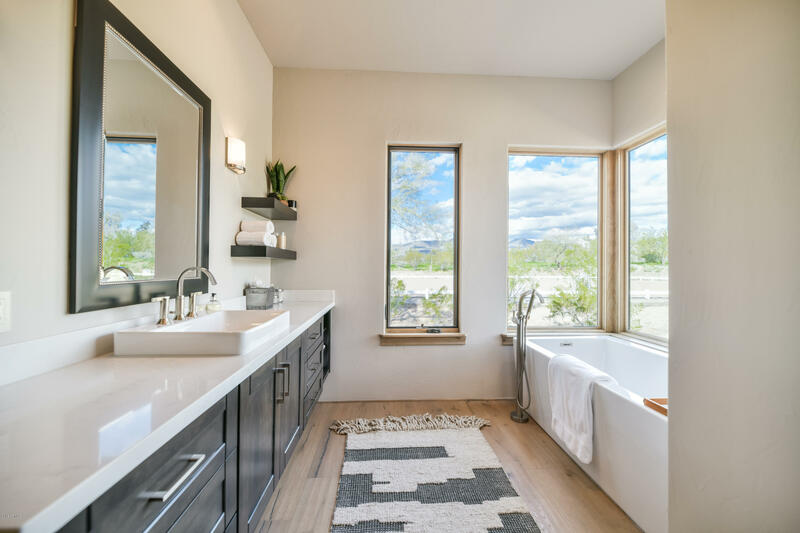 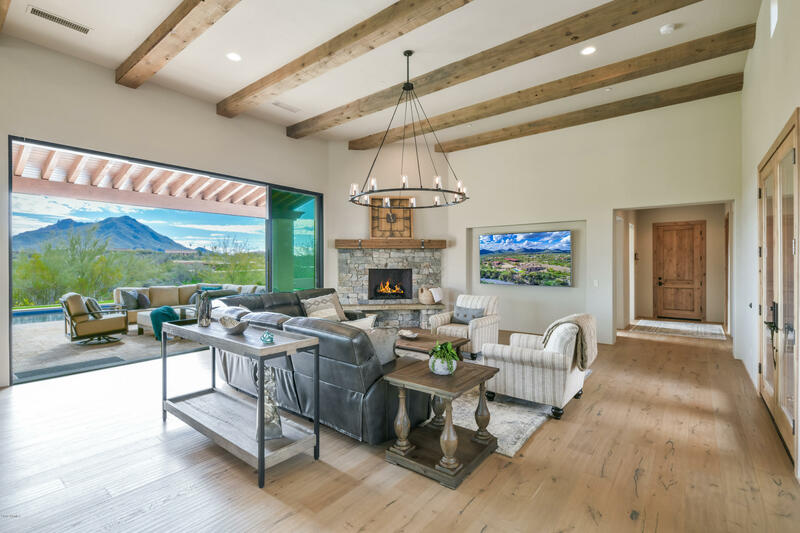 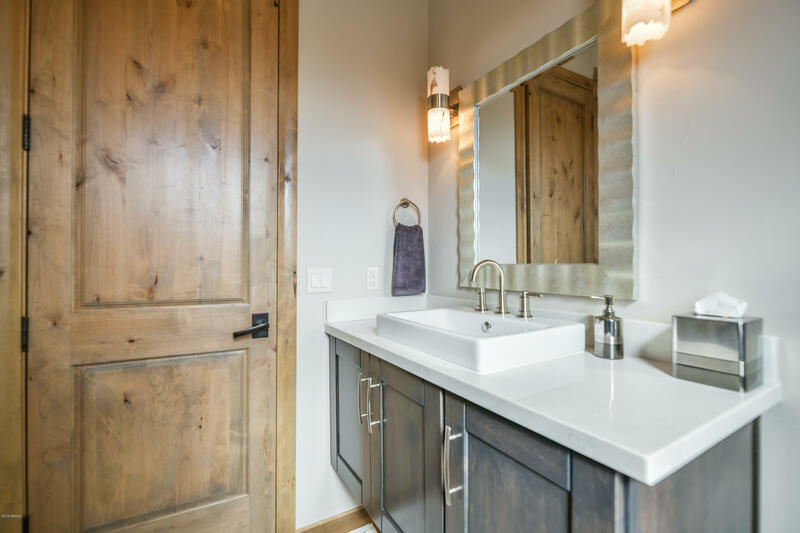 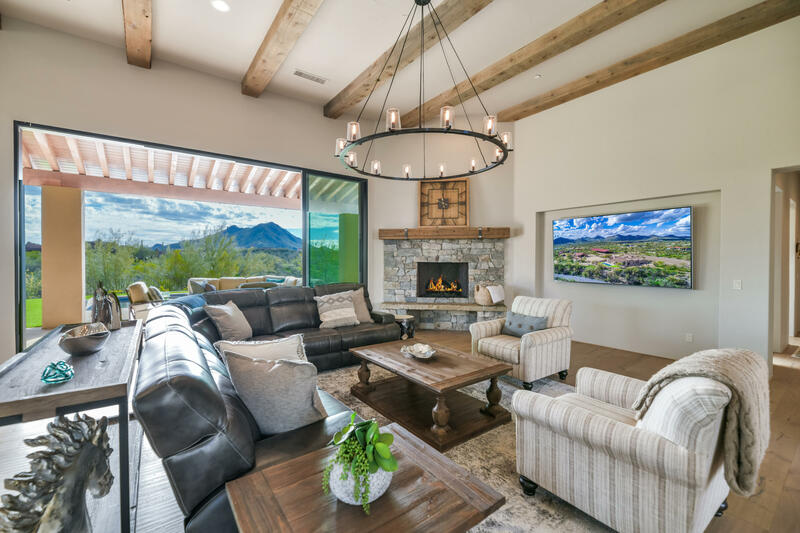 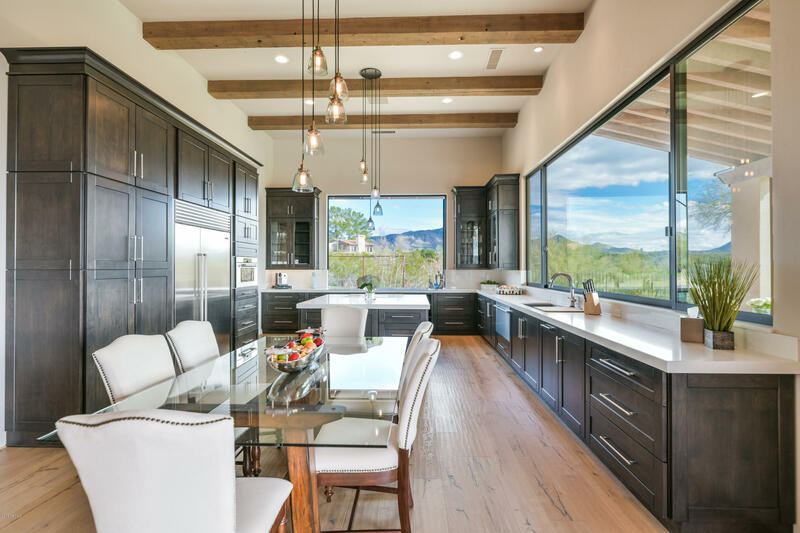 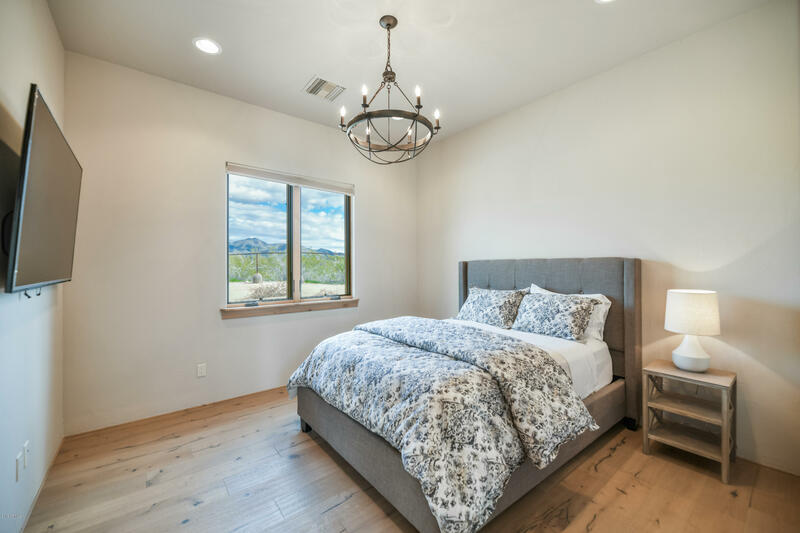 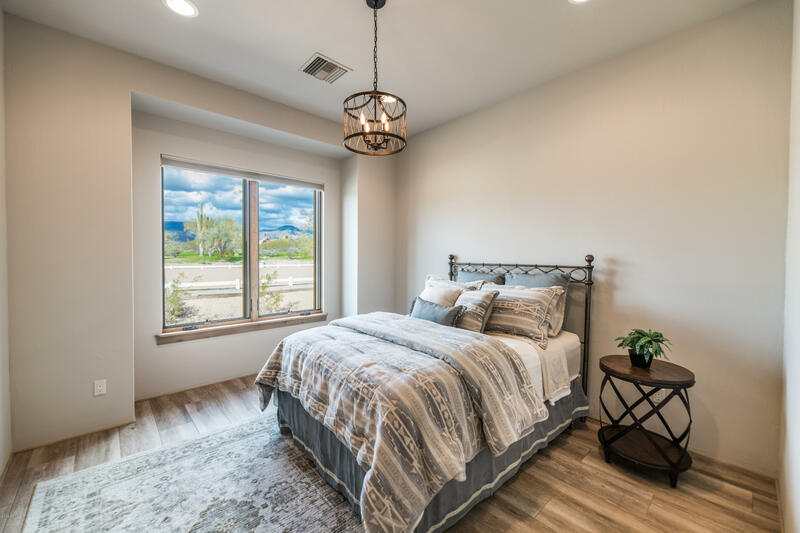 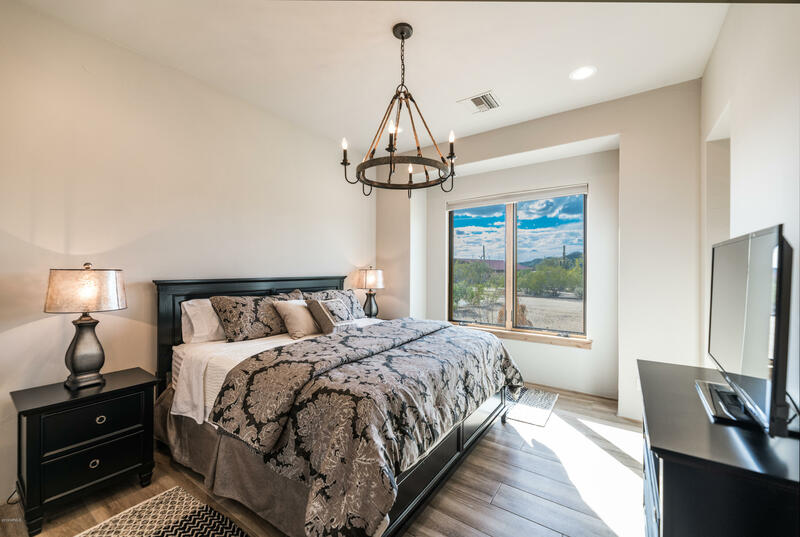 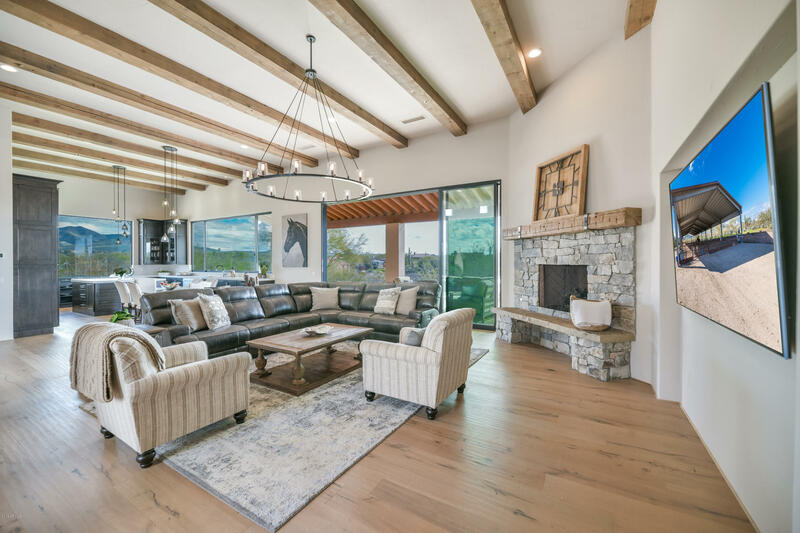 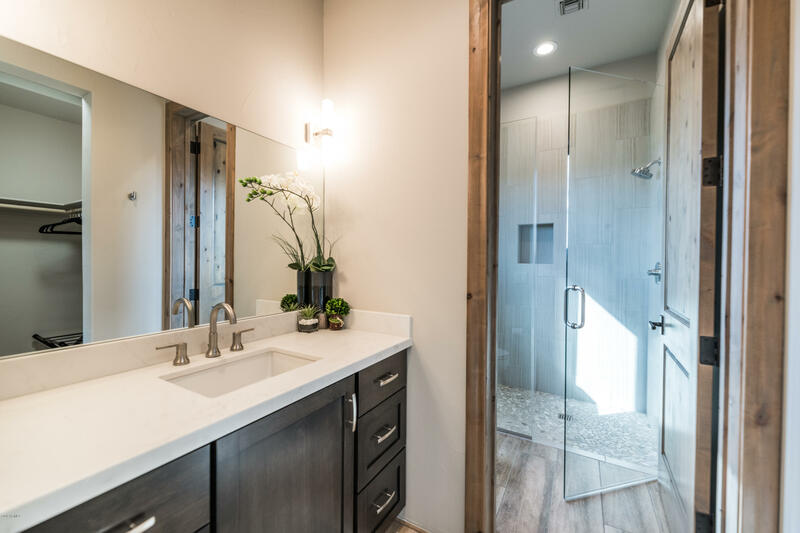 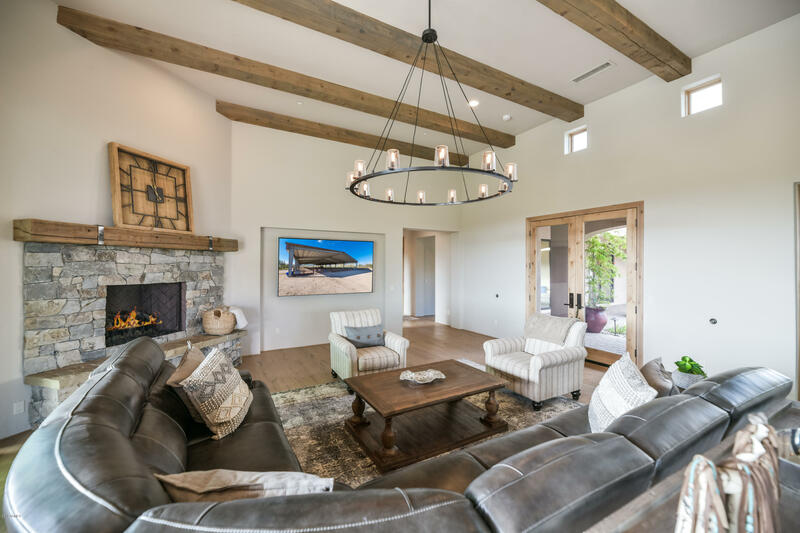 Showcase 2017 Custom Home with panoramic mountain Views, magazine-worthy Great room, gourmet Kitchen, spa-like Master Suite. 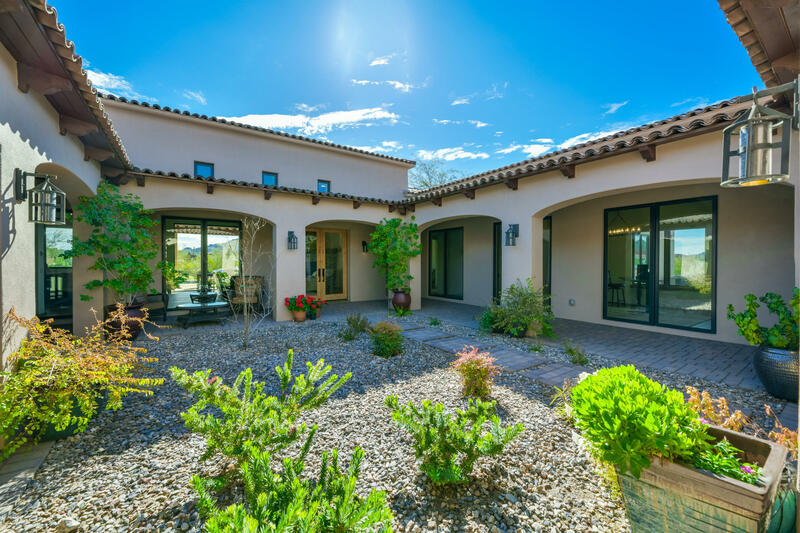 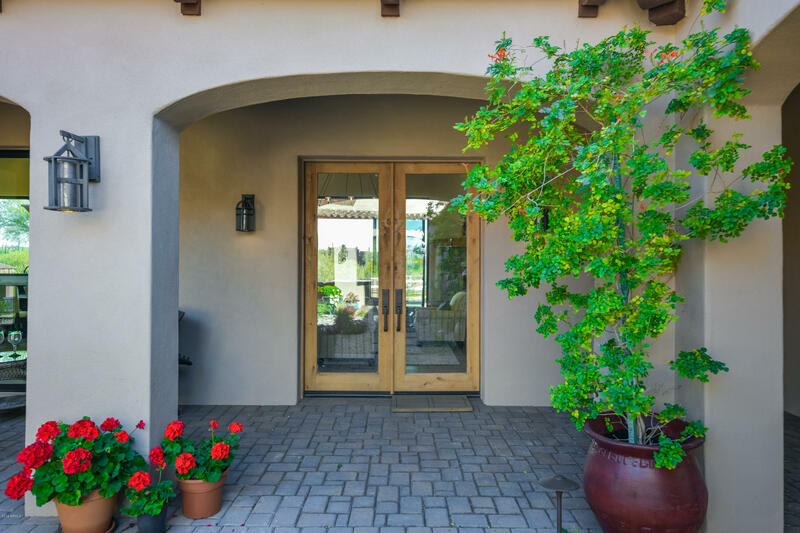 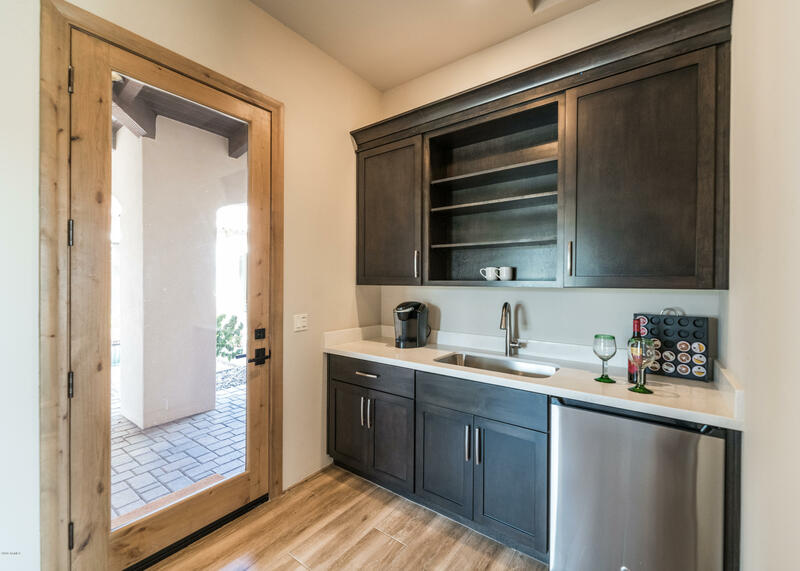 Hacienda courtyard with attached Casita: 2 Bedroom Suites, Kitchenette. 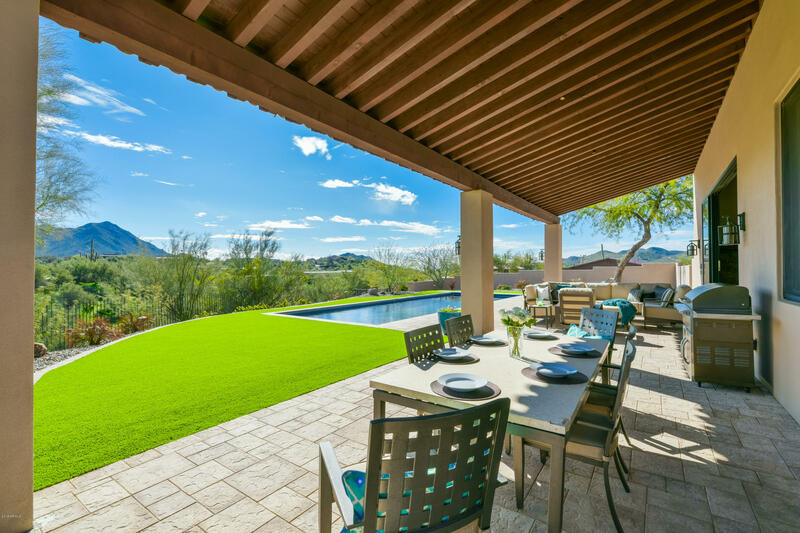 Telescoping wall of glass invites indoor-outdoor lifestyle aside the 40' lap Pool, turf, & outdoor shower. 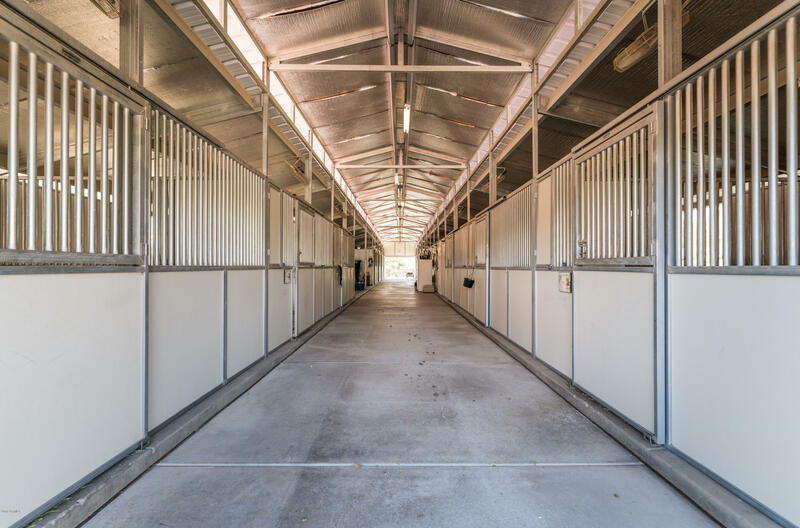 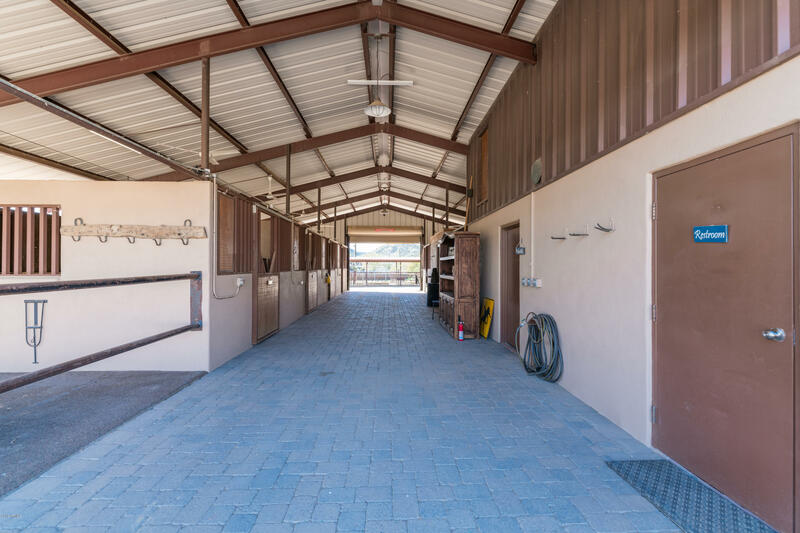 Equestrian facilities include: 2 Arenas: 200'x80' Clear Span Steel Covered Arena & an outdoor Arena with regulation Dressage ring. 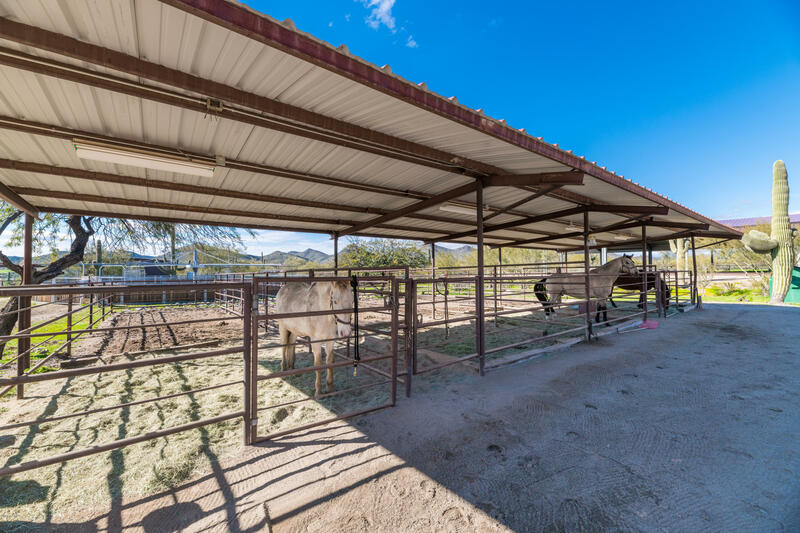 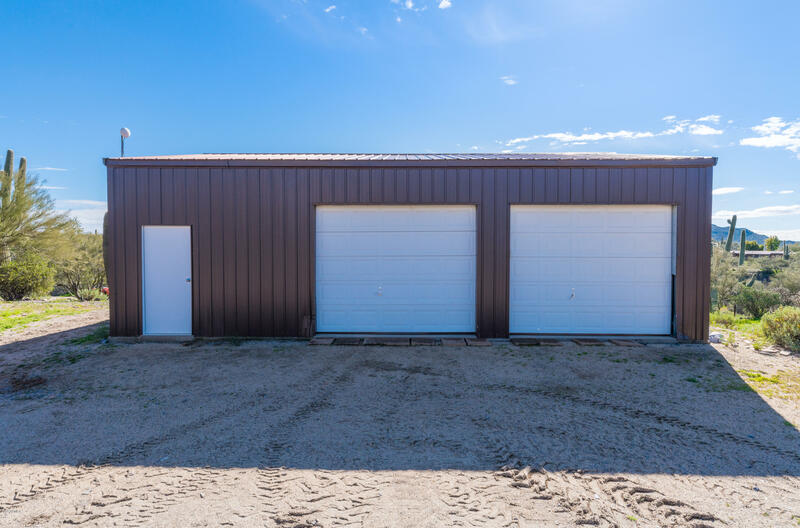 2 Barns: Total 20 stalls, automatic waterers, 3 tack rooms, 6 tack/up grooming areas, barn Apartment. 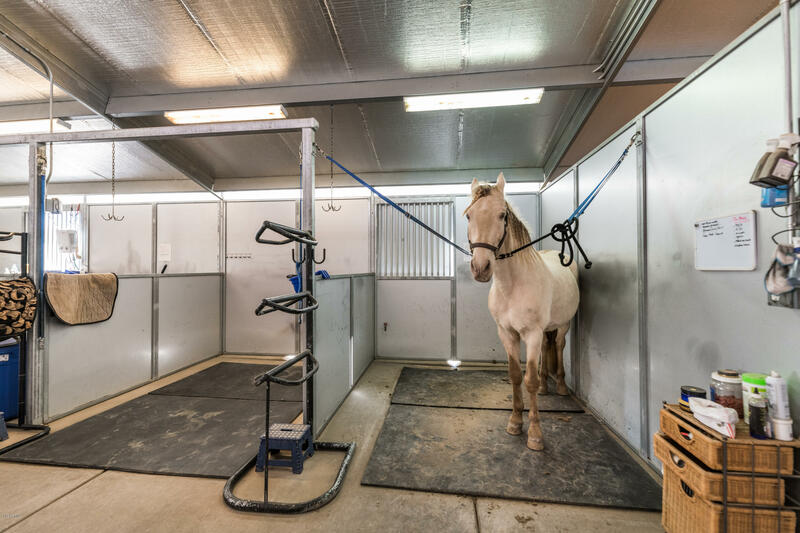 Belgian horse walker, mare motel with 4 large stalls, Covered 2 stall wash rack/farrier station. 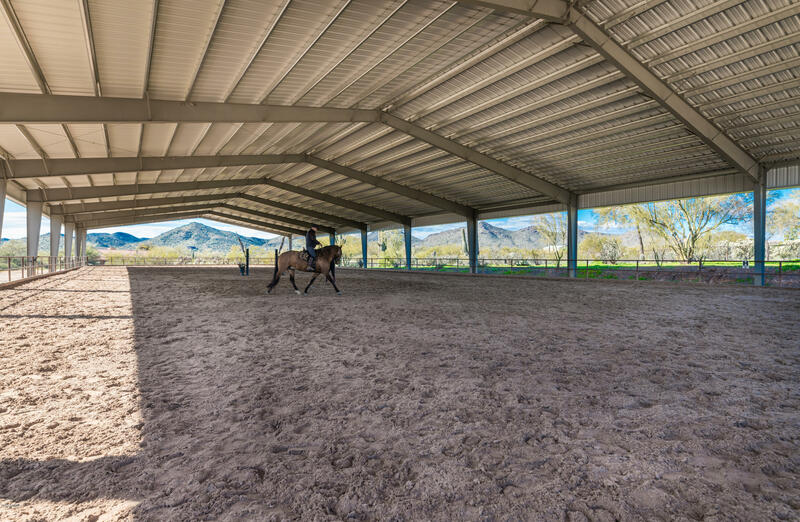 2,500 gallon water storage. 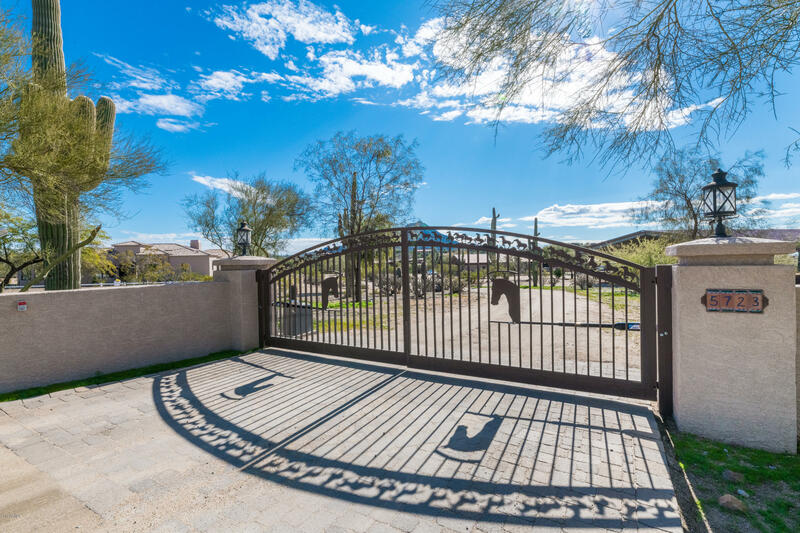 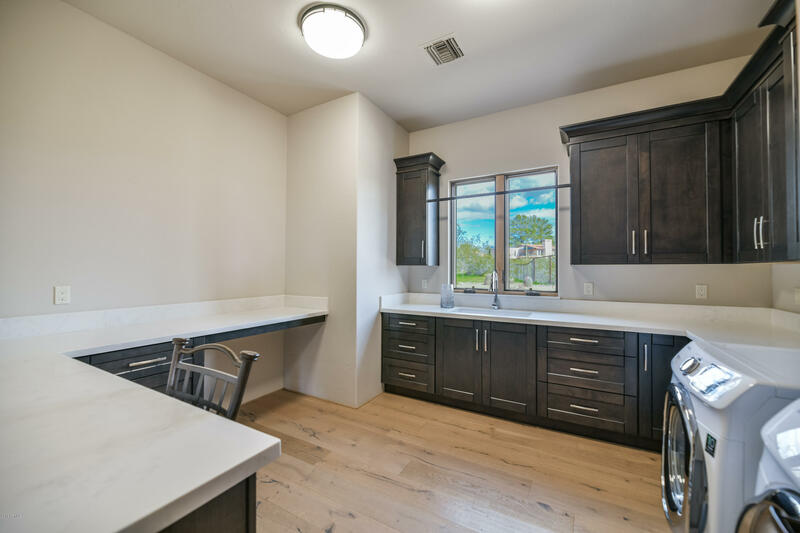 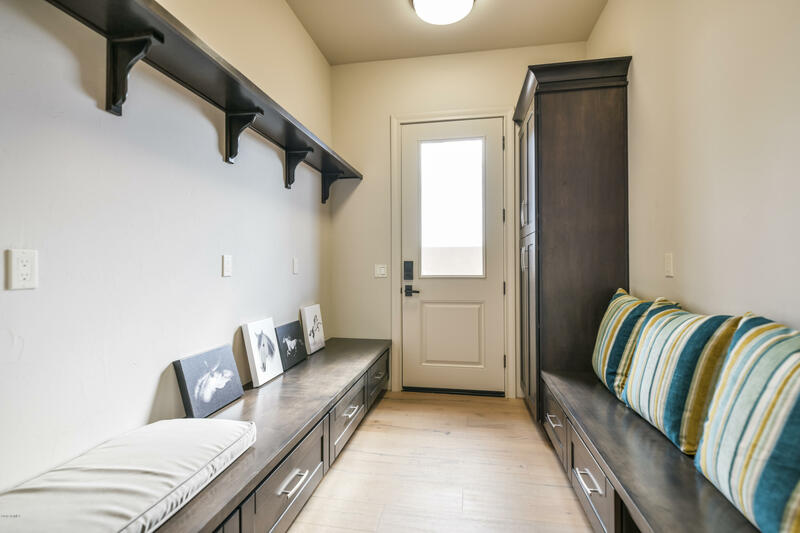 Fully fenced property with gated entry, and direct access to Trails.